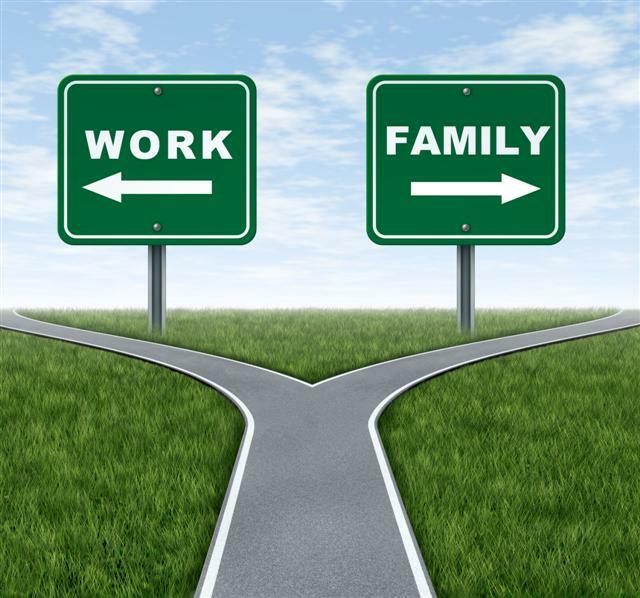 Balancing your time with family and time spent developing your career is hard! It’s not easy to find the time to do both well. It’s essential to spend time with your partner or spouse as much as it is with your kids. Whether you work full-time or part-time or you work from home or outside your home it’s REALLY hard to make quality time with your family. You might feel like you have to choose between your job and your family. How do you choose when you want to do both?! It’s awful to feel torn but there ARE ways to make quality time with your family. It’s really all a matter of managing your time and making the most of it. Here are some simple strategies that may work for you. 1. When you leave work, leave work behind! Do you go home and feel the need to answer emails or check voice mails or even continue a project? When you leave work, leave work behind! Spend your time at home relaxing with your family and doing things that boost your energy. This will not feel “normal” at first, especially if you are a workaholic. Making a conscious effort to leave work behind will actually benefit you at work (and your boss). Give yourself a break! 2. Create routines that will bring you closer. Daily routines let you spend time together whether it be waking up a little earlier to have breakfast or a cup of coffee together, help pack lunches, or even make beds together. Routines can be practical chores that allow you and your loved ones some bonding time. Insist on having dinner with your family every night! This does not need to be fancy or even at home. With busy lives and busy kids, dinner can be as simple as eating out of the back of your van or truck together or stopping to sit and have a bite to eat at a restaurant. You will be creating a memory that your family will always remember and hopefully follow this routine with their family someday. Creating regular family routines can help you appreciate the ordinary aspects of life. 3. Make an effort to carve out a little time to be together. Your family needs to be your priority when you are not at work. You can prioritize your family on the weekends and during your vacations. Plan special things to do together and even surprise them once in a while. It can be as simple as playing a board game together or renting a movie, picking out your favorite box candy, and making popcorn. You could do a little planning by taking a road trip together or even visit treasured friends who don’t live close anymore. Keep this simple by planning one day a week or even one weekend a month to spend time with your family working together on simple chores or hitting the road and stopping at “that place” we like to visit but never seem to have time. Make these strategies part of your regular routine and you will find yourself making quality memories and recharging yourself. Leave work at work, establish a few simple routines, once a week or month carve out time for your family. You will never regret that you did these things. You may if you don’t. You won’t be compromising anything at work. It will still be there waiting for you when it’s “work’s” turn for your time!